The special counsel Robert Mueller has zeroed in on Stone and WikiLeaks in recent months as he examines whether Stone knew in advance about the Russians’ hack and WikiLeaks’ plans to release the emails. Roger Stone, a longtime Republican operative and informal adviser to President Donald Trump’s campaign, advocated for a presidential pardon for WikiLeaks founder Julian Assange, Mother Jones reported on Thursday. “I am working with others to get JA a blanket pardon,” Stone wrote to the talk show host Randy Credico on January 6,according to text messages obtained by Mother Jones. “It’s very real and very possible. Don’t f— it up,” he said. “I most definitely advocated a pardon for Assange,” Stone said in an email to Mother Jones, adding that he also pushed for Fox News host and former Judge Andrew Napolitano to support the possible pardon. Mike Pompeo, then the director of the CIA, described WikiLeaks as a “hostile, non-state intelligence service” last year. The organisation was instrumental in disseminating hacked emails belonging to then Democratic presidential nominee Hillary Clinton and the Democratic National Committee. It obtained those emails from Guccifer 2.0, a hacker with confirmed ties to Russian military intelligence. The document says the defendants falsely claimed that DCLeaks was controlled by American hackers and that Guccifer 2.0 was a Romanian hacker when in fact both were created and controlled by the GRU, Russia’s military intelligence outfit. The conspirator wrote to this person thanking them for “writing back” and asking whether they found anything “interesting in the docs i posted,” the indictment says. Prosecutors also said the Russian intelligence officers transferred stolen documents to an unidentified third-party organisation and used it to release information and discuss the timing of those releases so they would have the maximum impact during the campaign. Though the document does not name the organisation, evidence strongly suggests it was WikiLeaks. Stone and Donald Trump Jr., Trump’s oldest son, maintained extensive contacts with WikiLeaks during the 2016 campaign. Stone has also said that Credico served as an intermediary between him and Assange. Credico is known to be an ally of Assange’s. 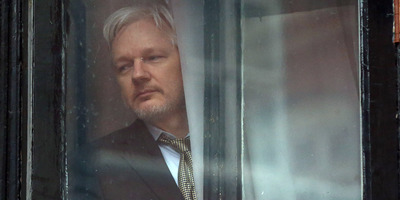 He raised some eyebrows when he tweeted a selfie of him outside the Ecuadorian embassy in London, where Assange is staying, two days before WikiLeaks dumped the first batch of Clinton campaign emails in October 2016. Nearly a dozen of Stone’s associates have interviewed with Mueller or testified before a grand jury in recent months. The Washington Post reported Sunday that the jury has heard over 12 combined hours of testimony on Stone, with FBI analysts simultaneously examining large batches of messages to determine whether or not Stone had prior knowledge about WikiLeaks’ possession of Democratic emails. 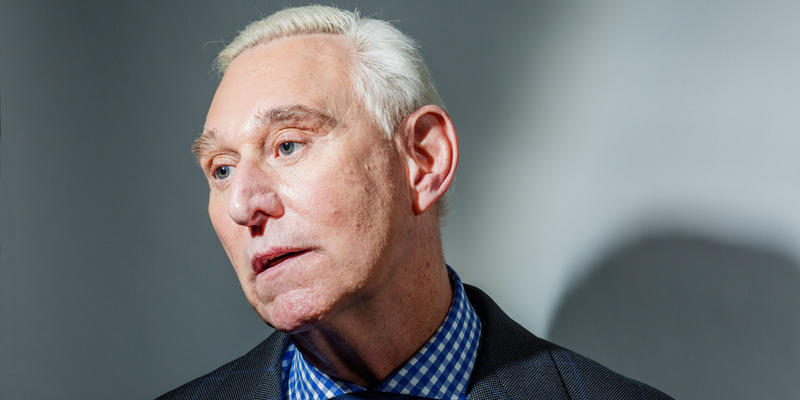 Stone appears to be girding for the possibility that he will be indicted. Business Insider reported earlier this year that he is planning on expanding his legal team and continues to solicit donations to a legal defence fund. He said he will announce the new additions to his team after the November midterm elections.